Pictured, Jovonie Mclendon Jr. and his girlfriend's five year old son. Pictured, Jovonie Mclendon Jr. and his girlfriend’s five year old son. 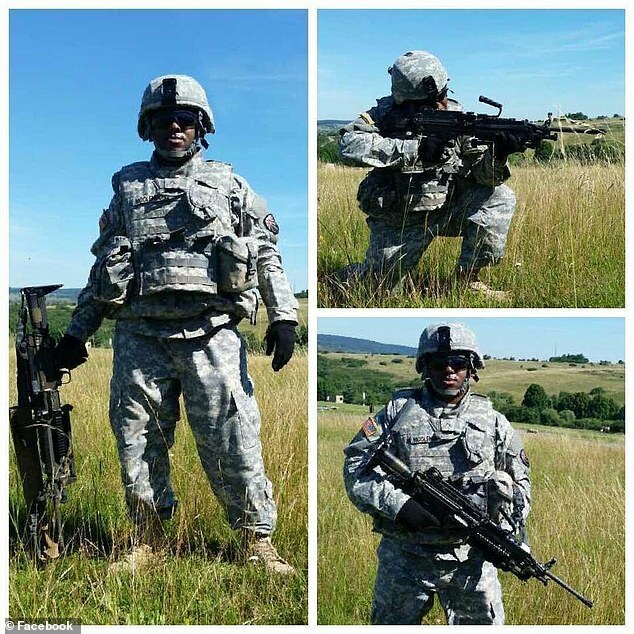 Army veternan, Jovonie McClendon Jr. suffering from PTSD shoots self on Facebook live after murdering girlfriend’s five year old son and critically wounding the boy’s mother. 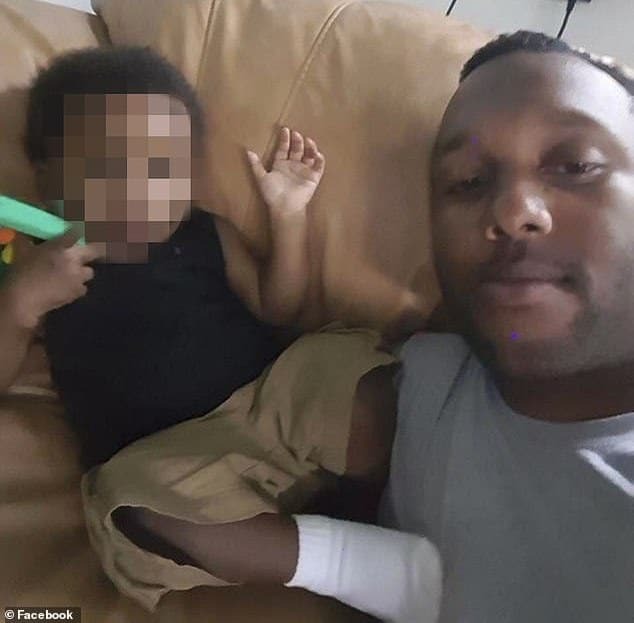 An army veteran thought to be suffering from Post-Traumatic Stress Disorder has shot himself dead on Facebook live after murdering a 5-year-old boy and seriously wounding his girlfriend on Friday. 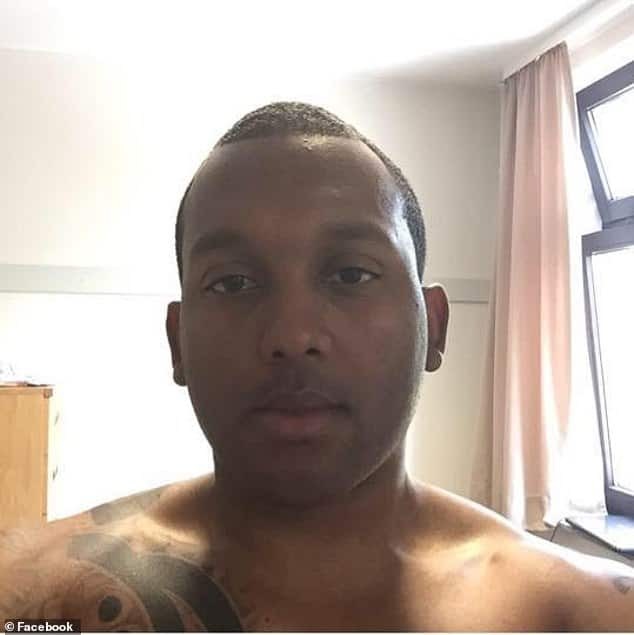 Jovonie Mclendon Jr., 33, died from a self-inflicted gunshot wound to the head on February 3 according to the Montgomery County Coroner’s Office. ‘He just called me a minute ago and said that he loved us and that he killed his girlfriend and her baby,’ Mclendon’s mother was heard saying. In another call received by authorities, Mclendon told dispatchers he spent three-and-a-half years serving overseas and was ‘just tired’. He said ‘I’m just saying I’m sorry’ after telling the officers he’d killed both his girlfriend and her son. ‘It’s been a long day,’ he can be heard saying to those watching. He later says it’s ‘been nice knowing you’ before pulling the trigger. Jovonie Mclendon Jr. PTSD death: ‘This is tragic for everybody’. ‘This is tragic for everybody,’ Miami TWP Police Chief Ron Hess said during a press conference on Monday describing the murder suicide. The names of the two victims haven’t yet been released. He described Mclendon as a ‘likable’ guy and said he was unrecognizable in the Facebook video. ‘I was like wow, this is not normal. This is not him – this is not normal. ‘I know there was an underlying cause. Authorities haven’t confirmed whether Mclendon struggled from PTSD- or whether the man was in treatment. Hess described the incident as a ‘fluid and on-going investigation’.